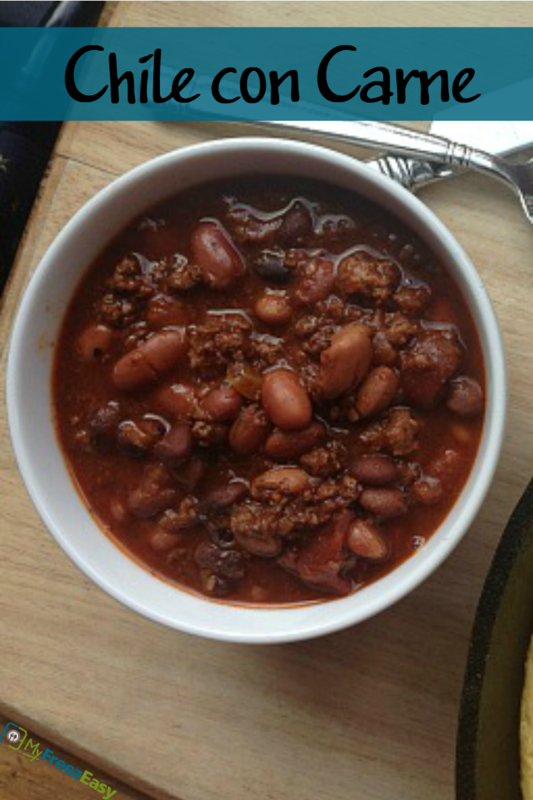 A meaty chili - because ‘con carne’ means with meat, in Spanish. A meaty and beany chili that is simmered to perfection. Chili is such a great freezer friendly meal and is a great one to start with (if you are new to freezer cooking.) Hope you enjoy this chili! Open the crushed tomatoes. Open, drain and rinse the cans of kidney beans. Chop the small yellow onion. In a large saucepan, brown the ground beef with the chopped onion and minced garlic. Drain, if necessary. Return to saucepan and add the crushed tomatoes, kidney beans, broth, chili powder, paprika, cayenne pepper and salt and pepper to taste. Bring to bubbling, then reduce heat and simmer for 15 minutes. Garnish with shredded cheddar cheese. Cook the cornbread, as directed. 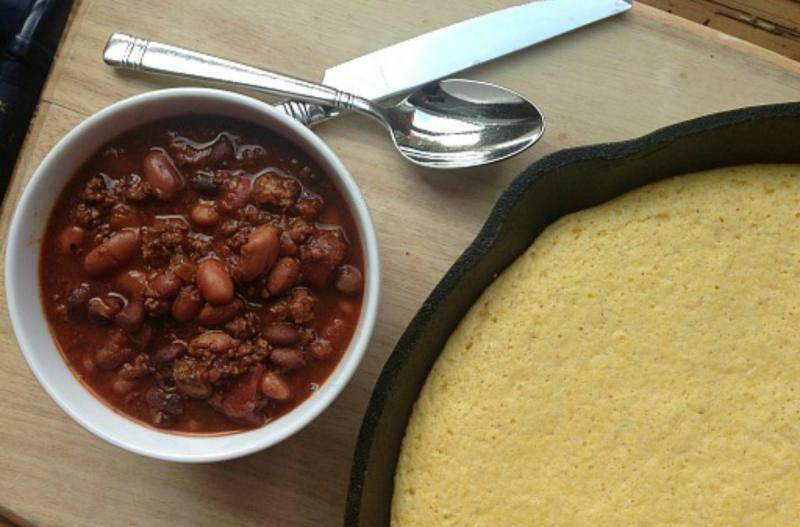 Serve Chili con Carne with cornbread and salad. Chop 2 small yellow onions. Brown 2 lbs. ground beef with the chopped onions and 4 tsp minced garlic. Open 2 cans of crushed tomatoes. Open, drain and rinse 2 cans of kidney beans. Put baggie in the freezer and freeze up to 6 months in fridge freezer or 12 months in a deep freezer. Thaw in the fridge overnight, or a warm bowl of water for about 20 minutes, before transferring all of the contents of the baggie into large saucepan or Dutch oven. Bring to bubbling and simmer for 15 minutes. Recipe is dairy-free when the shredded cheese garnish is omitted. Recipe is gluten-free when served with gluten-free sides like gluten-free cornbread, rice or quinoa.